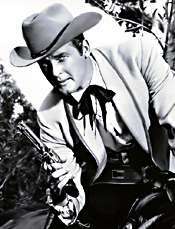 “Maverick Theme” music by David Buttolph and lyrics by Paul Francis Webster. Luck is the lady that he loves the best! Maverick is the legend of the West. 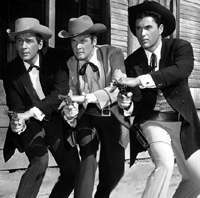 The Mavericks were TV’s most reluctant heroes. They’d rather talk their way out of trouble. 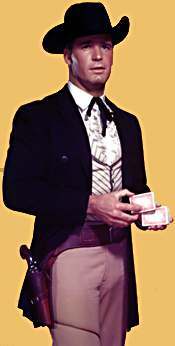 Buy the fella a drink, offer a cigar, play a few hands of cards – anything but gunplay at which they weren’t especially adept. Too often, however, they found themselves having to rescue someone, hopefully a damsel in distress. Gamblers by trade, the Mavericks travelled the West in search of good times and the easy way. 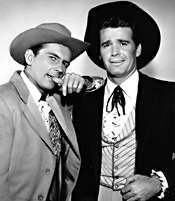 James Garner was to be the only Maverick but when production ran behind, brother Bart was added. 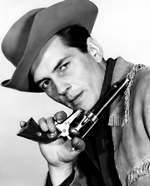 Jack Kelly appeared in about a third of that first year’s episodes and a separate production crew was used. 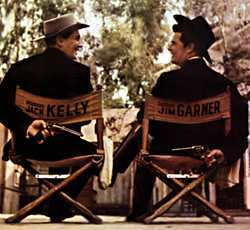 By 1960 Garner and Kelly shared duties about 50/50 and sometimes appeared together. 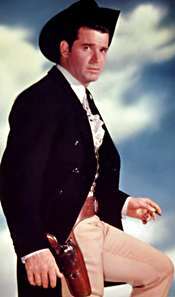 After the 1960-1961 season Garner left the show. 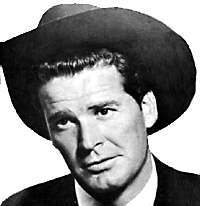 Roger Moore appeared from 1960-1962 as cousin Beau who had been living in England and Robert Colbert in 1961-1962 as brother Brent for two episodes. Richard Long in 1974 of heart problems, Diane Brewster in 1991 of heart failure, Jack Kelly in 1992 of a stroke, Leo Gordon in 2000 and Peter Breck in 2012. TV Guide’s Maverick Page, with TV Listings, Photos, Videos, Exclusive News and More.